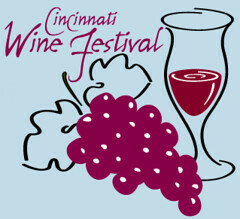 Back in December, I posted about the upcoming Cincinnati International Wine Festival. Yes, tickets went on sale back then. Tickets tend to go rather rapidly. Closer to the date, I promise I’ll post an updated version of my Annual Wine Festival Survival Guide. In the meantime, you need to buy your tickets. You can purchase tickets from any of the listed stores, which include Cork n Bottle, Dilly Deli & Cafe, The Liquor Cabinet, and Little Sonoma. The official Host this year is Michael Mondavi. Instead of spending a lot of money to meet him at a wine dinner, I recommend going to a Cork n Bottle event instead. On March 9, Michael will be at the Buttermilk location for an exclusive tasting. Michael will be guiding participants through a sampling of his family’s latest vintages and will also be signing bottle purchases of his collectible Cabernet Sauvignon.The event runs from 6:30 – 8:30 and costs $25. You definitely need to RSVP, because space is limited, so email tim.hue@corknbottle.com to grab a spot. If you are interested in the Wine Dinners that precede the Festival each year, grab a spot uber-quick. Even though the dinners are pricey, they include all of your food and wine, and you get to schmooze with winemakers. Most of the dinners take place on March 11 and, although I’ve listed them at the bottom, you’ll see many are already sold out. If I had $300 to spare (which I don’t), I’d kill to go to the Villa San Juliette tasting at Morton’s. I have a small crush on the winemaker. Special Tasting Room: Enjoy high end wines for one hour prior to the Grand Tastings. Each ticket will be an additonal charge of $35 for 7 tastes. The moral of all of this is – buy your tickets soon. Whether it’s for the special dinners or for the festival itself, make your plans early this year. Tickets $175 – SOLD OUT! Carlo & Johnny – SOLD OUT! 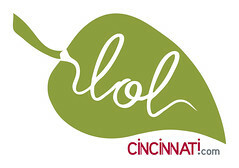 Jeff Ruby’s Steakhouse – SOLD OUT!